It is often difficult for standard blood banks in Korea to supply adequate amounts of blood for patients with rare phenotype. Moreover, the definition of a blood in need is ambiguous, and much remains to be learned. In this study, we determined the prevalence of various red blood cell (RBC) antigens from a donor viewpoint and estimated the demand for specific antigen-negative blood from a patient viewpoint. Our data will aid the establishment of a Rare Blood Program in Korea (KRBP). RBC genotyping of 419 blood donors was performed using a Lifecodes RBC/RBC-R typing kit (Immucor, Norcross, GA). A national recipient registry website has been established. Each hospital-based blood bank voluntarily enters data on antibodies detected and identified and the outcomes of specific antigen testing. We calculated the availabilities of specific antigen-negative blood components based on these registry data and predicted the prevalence of RBC antigens via RBC genotyping. The prevalences of various RBC antigens in the D-negative population were determined for the first time, and the Cartwright, Scianna, Dombrock, Colton, Landsteiner-Wiener, Cromer, and Knops blood group systems were identified. The availabilities of specific antigen-negative units differed when calculations were based on serotyping or genotyping, especially in the D-negative group. Data on the prevalences of various blood antigens are essential for estimating the availabilities of blood components that are appropriate for use by patients expressing relevant antibodies. Then, blood banks would be able to efficiently supply safe blood products. The online version of this article (doi: 10.1007/s00277-016-2645-7) contains supplementary material, which is available to authorized users. 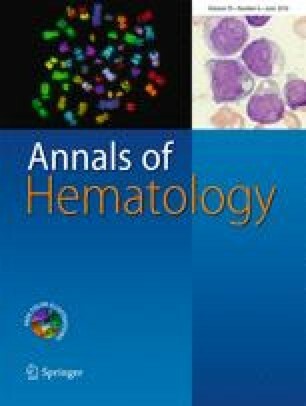 This study was supported by research fund for “frequency investigation of rare blood groups in Koreans and management system development of associated blood components (2011E3400300 and 08-2012-010) and establishment and operation of the Korean Rare Blood Program (KRBP) for personalized transfusion (20121206077-00 and 20140506667-00)” from Korea Centers for Disease Control and Prevention.